Celebrate the art and activism of Maya Angelou with a multimedia tribute of music, film, and poetry presented by Casa de America in collaboration with Democrats Abroad Madrid. Free admission. In Spanish and English. I will be reading one of her poems, “A Brave and Startling Truth,” written on behest of the United Nations. I’m part of a talented team of actresses, musicians, writers, and poets, and a hard-working producer. We don’t want her passing to go unnoticed. 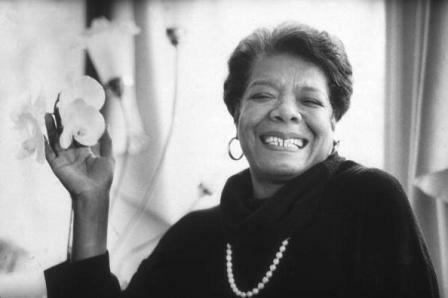 Over the course of a career that spanned six decades, Maya Angelou’s art and activism left an indelible mark on both America and the world. She was at times a poet, author, film director and producer, journalist, dancer, lecturer, and above all a consummate humanist. Her contributions to the US civil rights movement and feminist movement, among other causes, were invaluable to our progress both as a society and as individuals, and she may be best remembered for helping to shape our national consciousness and direct our common moral compass towards empathy. We will be paying tribute to this amazing woman through a multimedia presentation that will include readings of her poetry and prose, music, film of Maya herself, and commentary by two recognized experts in contemporary American literature. It will be great fun with a little blues and gospel music added for your pleasure.